Cover sheet for a set of drawings of the Castillo de San Marco. 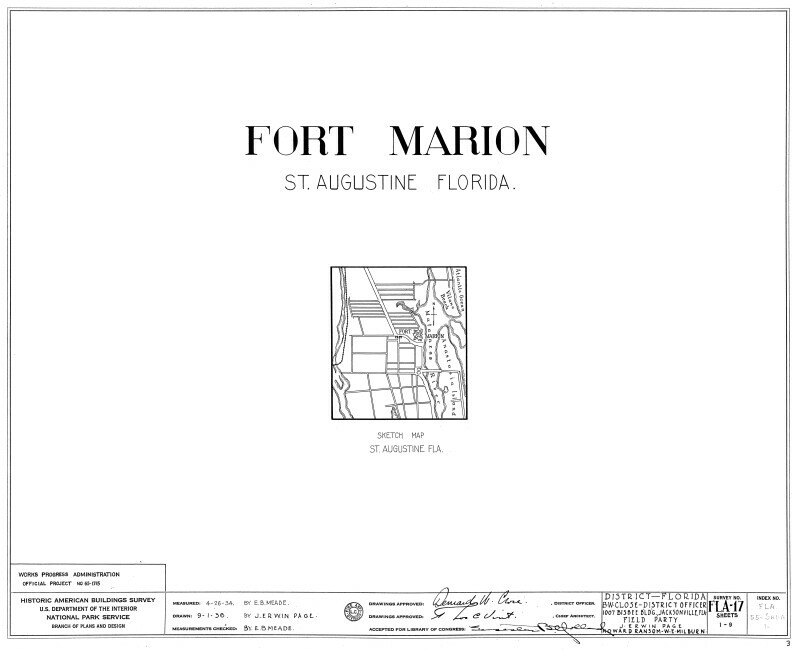 The sheet includes a sketch map of St. Augustine showing the location of the fort. WARNING: You are about to download a 1.2 MB TIFF!